One of the fastest growing trends in Hardscapes, is the installation of Outdoor living spaces! Ideal for year around entertainment, installing paver patios, is not only appealing and functional, it’s perfect for increasing your homes value! How Big Should My New Hardscape Patio Be? Do I need to install a Seating Wall? Are Brick Pavers more durable than concrete? 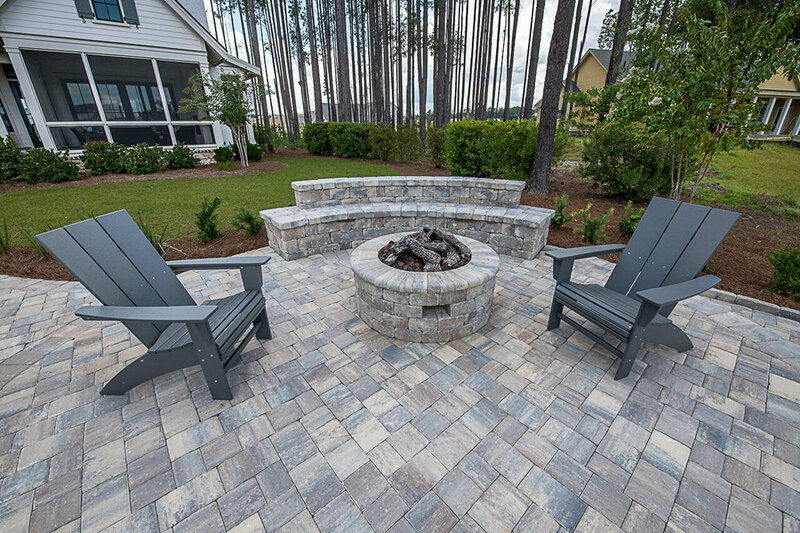 Most Hardscape paver projects are designed, to easily accommodate friends and family. Our typical paver patio design is approx., 400 sq. feet or 20 x 20 area. Block built seating walls are a creative and unique way to add built-in seating around your patio! No matter the shape, circular or square, seating walls are perfect additions to any patio project! Depending on your location, material choice and project size, most hardscape paver patio installations can range in cost from approx., $ 12-$30 square foot. Durability is a highlighted feature when selecting brick pavers. Withstanding everyday use, pavers are long-lasting and rarely crack, unlike poured concrete!